That Elusive Popeye . . . The Peppers Were Hung By The Window With Care . . .
Oh, Duncan, You Crazy Nut! I am usually happy to ignore those teaser news thingies that float above my mailbox on AOL, but today one led me to look into the history of Duncan Hines; the man, not the cake mix. 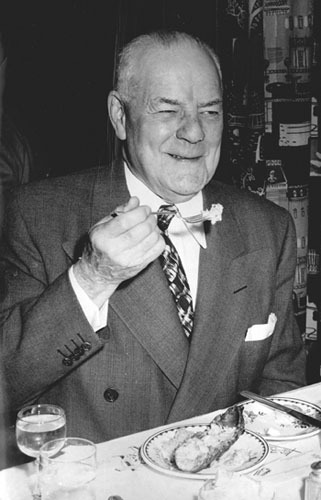 Hines was a printing salesman who had eaten in nearly every state in the Union, and in 1935 he and his wife wrote the first popular guide to restaurants in America, Adventures in Good Eating, which is still in print. He later sold his name and the rights to his book to a flour company, and their baking goods are what most folks think of when they hear his name.